Bike Pic July 23, will we spot Batman and Robin on RAGBRAI this year? Holy pork chop on a stick! 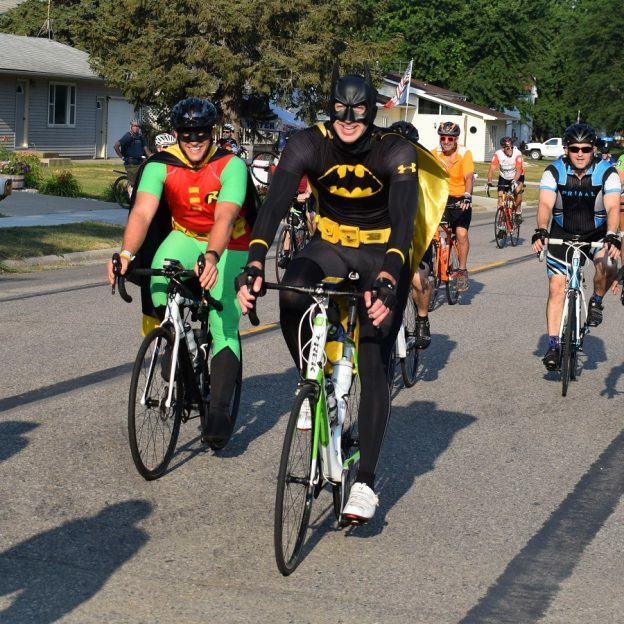 This Monday morning we will be looking for Batman and Robin ridding bicycles their bicycles on RAGBRAI (Register’s Annual Great Bicycle Ride Across Iowa) again, this week. See more fun photos from last year, here. What better way to keep your summer rolling than planning your #NextBikeAdventure. View all the fun ideas and bike destinations in the latest Minnesota Bike/Hike Guide. Then plan your next outing with family and friends in one of HaveFunBiking’s Destinations. This entry was posted in Picture of the Day and tagged #bicycle, #nextbikeadventue, Batman and Robin, Bike Iowa, bike touring, fun, Iowa, pork chop on a stick, Primal Jerseys, Register's Annual Great Bicycle Ride Across Iowa, road biking on July 23, 2018 by Russ Lowthian. Today’s ‘riding into the Monday morning sun’ bike pic captures another beautiful summer day. In this pic we captured these bikers riding in the morning sun on RAGBRAI 2017. This year’s bike tour starts in Onawa, then to Denison, Jefferson, Ames, Newton, Sigourney, Iowa City and finishing in Davenport for a total of 428 miles. 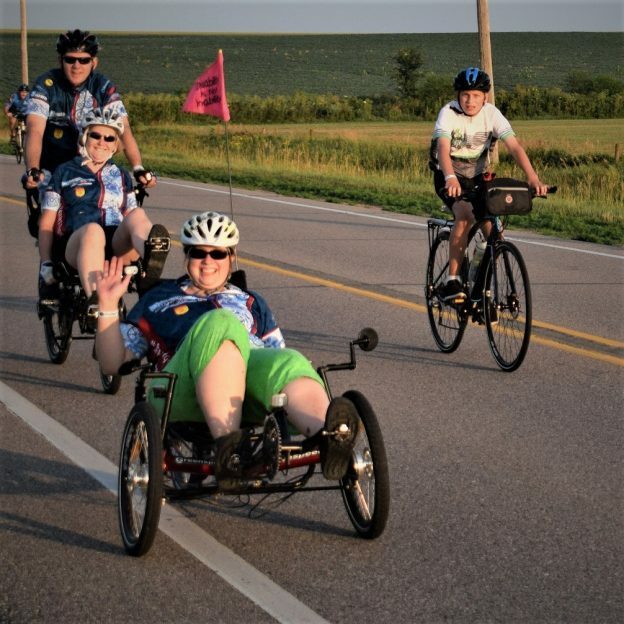 This entry was posted in Picture of the Day and tagged Bike Iowa, Bike Ride, bike tour, Iowa bike guide, Iowa Bike Maps, magical monday, pic of the day, RAGBRIA, Register's Annual Great Bicycle Ride Across Iowa, Summer fun, sun glasses on June 25, 2018 by Russ Lowthian.